Please don't send any request for Word Translation in our Contact or To add new Words we don't reply it. Use our Forum to find for your Word Translation. Thank You. 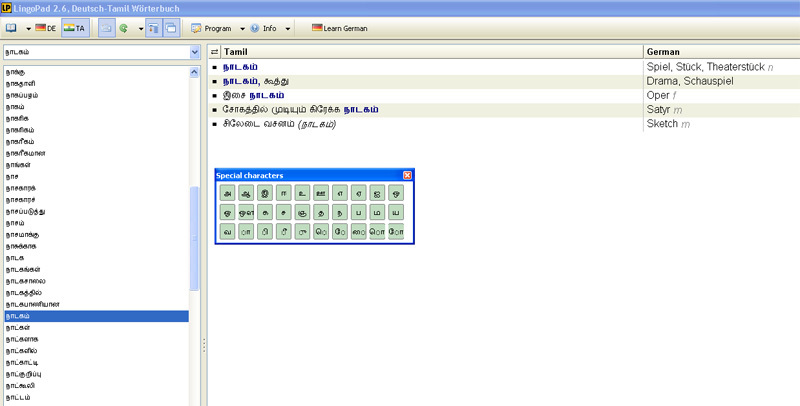 The Tamil vocabulary database is not contained in the program and has to be requested from Tamildict.com in a second step. In case of any questions regarding the program, please contact the author directly.